Food safety is very important to Navitas Naturals, and that is demonstrated by the rigorous third-party testing of our superfoods. Our facility and processing systems are certified organic, and are also certified under GMP and HACCP - important voluntary programs for ensuring food safety and quality. We also nurture our supplier relationships because they are critical towards achieving and maintaining high quality products. Our products are Non-GMO Project Verified. That means they’ve met the rigorous standards of the Non-GMO Project - an independent non-profit reviewer that ensures products are made according to best practices for GMO avoidance. 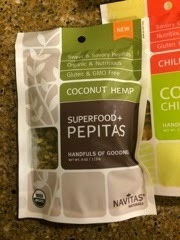 Navitas Naturals is committed to socially responsible business practices. Our direct purchasing partnerships create and expand fair trade economic opportunities for farming communities in developing regions around the world. I've been eyeing these products for awhile so I was thrilled to get to try them! 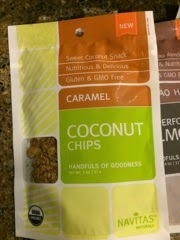 These really are handfuls of goodness. 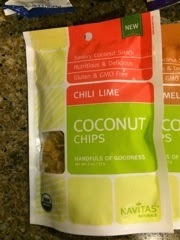 I liked every one of these but my favorite would have to be the chili lime coconut chips. They were so yummy! 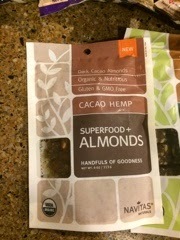 Navitas Naturals offer so many yummy healthy snacking options. 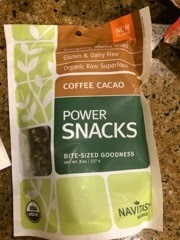 Please check out their products and then try them for yourself.